Okay, so I did two posts on Friday, that both need talking about today. 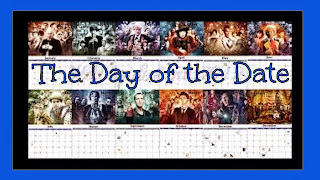 I am going to give and update on my accidental date first and then talk about my thoughts on The DAY OF THE DOCTOR. I'm saving the Doctor for last because there will be SPOILERS, so if you haven't watched it yet or on the off chance you do not care about Doctor Who (in which case we can no longer be friends) you can skip the end. It was NOT A DATE. I stand very firmly on this point if you ask anyone I've talked to. Except maybe Charles, because in no way did I ask him if it was a date or not. That's just crazy talk. I don't think he really thought it was a date either. He didn't try to hold my hand or anything weird like that. He didn't ask me out for dinner or coffee after the movie or anything as preposterous. It was just two coworkers seeing a movie together. All of my friends and family say it was 100% a date because he bought my ticket. But in my anti-date defense he told me another coworker had been yelling at him for not getting me a birthday present (in September), so he was making up for that and appeasing the other cowork. Nothing romantic in the least bit! Yes, I am a freak when it comes to guys and dating. There's just no getting around it. It's a natural reaction. The last time a guy properly asked me out, he did so just after telling me that he likes guys. I'm fine with the whole him liking guys thing, but then to immediately ask me out kinda freaked me out. So much so that I panicked, said maybe, and ran away. I'm just glad Charles doesn't work on Mondays. I have absolutely no idea how I'm going to act around him tomorrow. I'm going for a cool, I don't care, I do this all the time, type attitude, but I'm not sure if that's whats really going to come off. I'll probably act more like a blubbering idiot. I'm okay with being a single spinster cat lady for the rest of my life. Now all I need is some cats. Anybody got any I could take off your hands? 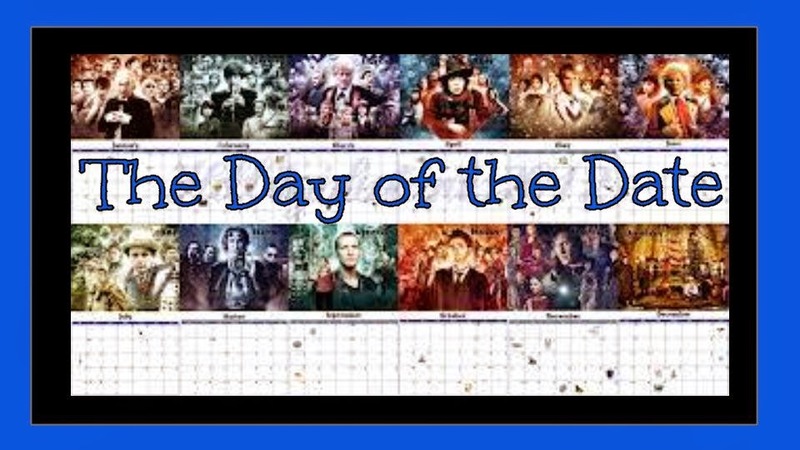 ...THE DAY OF THE DOCTOR!!! The 50th anniversary special was spectacular!! Seeing Matt Smith AND David Tennant together...eek! I JUST LOVED IT! I have never been so giddy! And then you throw in John Hurt making fun of them! The interactions between them all was just fantastic! The witty banter was top notch and everything I was hoping for and more! Moffat did not disappoint my expectations! Then you have Billie Piper coming in as The Moment/Bad Wolf/Rose! That was nothing like I was expecting, but boy was she good! I think I liked her as the box between the doctor and the girl so much better than just a companion!! It made her way more BA and it was more heartbreakingly wonderful than just "Rose and the Doctor". They way all of the story lines tied together, especially for Tennant's Doctor and how it fit so nicely with past episodes, and the salute to all the classics and the upcoming new Doctor worked brilliantly. It was everything a 50th anniversary episode should be...and that accomplishment is quiet a feet. I have to say a small part of me was hoping that they rewrote the Doctor's history and erased both Tennant and Smith's Doctors' history just to see what would happen, but it all worked out in the end. The Doctor found a way to save the day because of Clara pushing him to try and I'm happy he did, it's what the Doctor does. The NUMBER ONE thing I was disappointed in was Christopher Eccleston!! He couldn't come back for an hour or two of filming just for the regeneration?!!? I know, I know, Moffat said he wasn't coming back, but Moffat lied about a lot of other things as well. When Hurt's Doctor started to regenerate I thought, "This is it, he did come back! ", only to be let down by a cut away. Eccleston was my first Doctor, but I have never been able to get on board with him being my favorite Doctor. This is the reason why. This is 50 years of history. Most actor's are honored to be a part of this wonderful historic television show. Tennant became an actor just because he loved watching Doctor Who as a child. You can tell the difference. But I'm not going to let Eccleston's disinterest get me down. The 50th anniversary episode was a daunting task, one that could have easily left millions of people angry and disappointed, but I think Moffat did a wonderful job bringing everything together. IT was a wonderfully brilliant episode celebrating the past 50 years of Doctor Who and also pointing forward to the next 50! Now I just have to wait for them to ruin my Christmas by killing off Matt Smith. (Side Note: Please don't ask me what number all the doctors are anymore...Matt is rumored to be anywhere from the 11th Doctor to 13th. I just can't keep up! !